Studies show that tens of millions of people in the US are exposed to dirty water every year. It’s time for us to protect ourselves with some filtration systems. 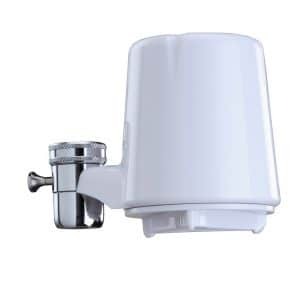 Faucet mount water filter is one of the best and easiest way to solve water contamination problem. Other systems require troublesome installation while this type of system makes everything simple. Furthermore, it is affordable for everyone with little maintenance required. 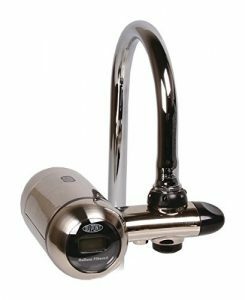 This system will not take up any space in your kitchen as it is mounted on the faucet. Today we bring you some of the best faucet water filter available in town and put it side by side for your visual comparison. In this post, we will be discussing the following elements to guide you on your faucet water filter selections. 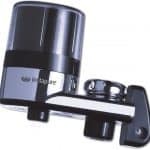 As a start, we shall go through some of the key elements of the top faucet mount filters available in the market. + Features: Clean monitor indicator and New leak proof connector. *Yearly expenses is based on 2 people using the system. 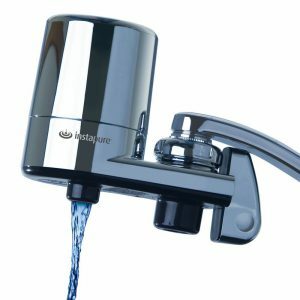 What Is The Best Faucet Water Filter? Next up. 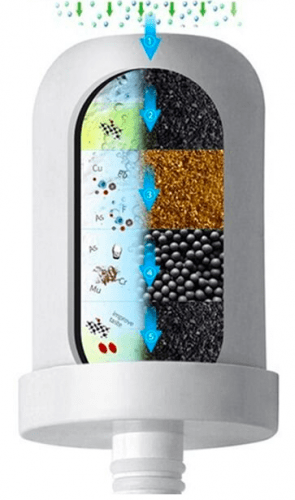 We will be picking a few of the top system in our opinion based on thorough research on the functionality, quality, and capability of the filter. Wingsol is one of the less known filters among all others. This product doesn’t receive a lot of attention in its category. Why do we think that it worth every penny that you spend? 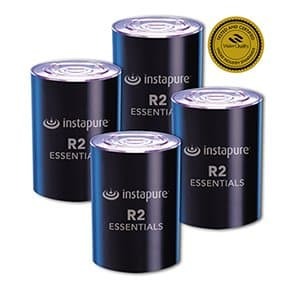 The cartridge comprises of a 5 stage filtration. The specialty for the cartridge is the 4th stage MicroNose filter, which was developed from California. 1st Stage: Ceramic filter that blocks big contaminants which are over 0.1um from passing through leaving only dissolvable contaminants. 2nd Stage: Granulated Activated Carbon which mainly reduces odor, bad taste, and chlorine. 3rd Stage: KDF reduces heavy metal such as lead, mercury, arsenic and prevents bacteria reproduction in the water. 4th Stage: MicroNose, reduce 99% arsenic and 90% on heavy metals such as lead, mercury, and chrome. 5th layer: Post Activated Carbon which improves the taste of the water while further reduce the odor and chlorine. Unlike other faucet filters, Wingsol built this filtration system with absolute quality and great design. Apart from the filtration cartridge, the system uses 304 stainless steel. This prevents cracks and water leaks that is often experienced by low-quality filter due to water pressure. It is strong and durable to withstand most of the water pressure in all homes. Each cartridge is able to withstand 200 gallons of filtered water. The larger the capacity of each cartridge shows the effectiveness of the system without a replacement. Annual Maintenance Cost: $40 yearly for the usage of 2 people. It receives fairly great ratings of 4.4 out of 5 across 130 reviews. It is the highest among all the other faucet filters. Although it doesn’t have a lot of reviews as PUR or Culligan, in terms of percentage, the majority of the customers are happy with the performance of the system. + Affordable annual maintenance cost. – Slightly Expensive on Initial investment. VERDICT: Although it is slightly pricer as compared to other systems, the filter quality and cartridge capability will eventually pay off leaving your worries behind. Check out our #1 recommended online recommended store, Amazon.com. Click on the button above to check `the reviews of the product from existing customers. Culligan has been a well-known household brand specialized in all kinds of water treatment device. One of the best sellers is the Culligan FM-15 Series. FM-15 has been on the market for several years. It has garnered more than 3600 reviews on Amazon. What’s so good about this filter? The cartridge comprises a premium carbon block filter which claims to have the following capability. Class 1 particulates which remove contaminants which is as small as 0.5 – 1 micron. Water cloudiness and filthy taste, odor. The system is all tested and certified by NSF International against ANSI Standard 42 and 53. There is no claim on how well the filter is performing on removing the contaminants. Although both FM-15A and FM-100 are using different cartridge code, the content and the filtration capability are the same. The system comes with a 2-year limited warranty which is one of the longest. 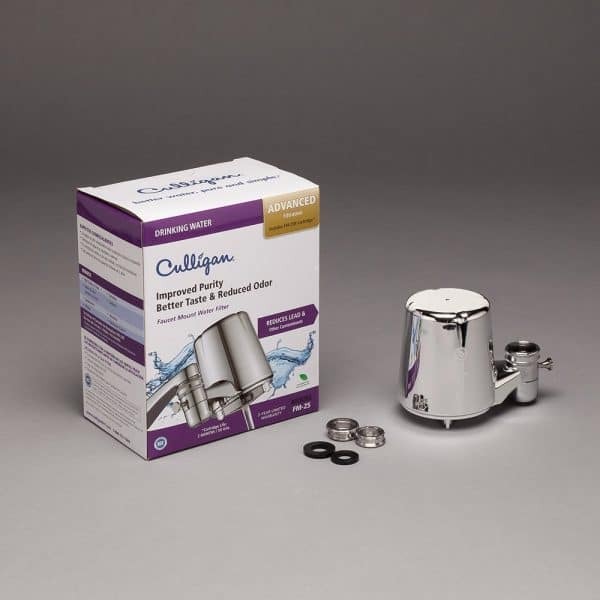 This shows Culligan are serious about the quality of their product. Each cartridge is designed to handle up to 200 gallons of filtered water. However, this machine doesn’t come with a light indicator to notified the users when replacement is needed. You can definitely go for the FM-100 if you wish to have an indicator of the water usage. Annual Maintenance Cost: $29 for up to 2 person usage. There are more than 3600 reviews on this product that was listed on Amazon and it has garnered an average score of 3.8 over 5. Majority of the customer likes the simplicity of the system coupled with the premium quality of the carbon block filter. The water tastes great after it was filtered by the FM-15 faucet water filter. + Certified by NSF against ANSI Standard 42 and 53. + 2 Years limited warranty on the system. + Filter as small as 0.5 microns. + Filter up to 200 gallons of water for a single cartridge. + Affordable annual replacement cost. – No water usage indicator. – Not suitable for highly contaminated water source. VERDICT: Although this filter has been in the market for years now, it is still one of the best seller filters in its category due to the filter quality and durability of the system. 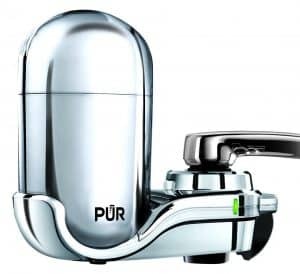 Instapure has 3 different models for the faucet filters, the Essential (F2), the Complete (F5) and the Ultra (F8). The 3 models use 3 different replacement filters which has a slight difference. Chlorine Taste and Odor Removal: The F2 filter consists of filtration media which is capable of removing the basic contaminants such as chlorine taste and odor. It is perfectly suitable municipal treated water which has a lot of chlorine inside the water. High-Quality Carbon Block Filter: The F5 filter, however, consists of a high-quality 0.5-micron carbon block filter which is greater in removing chlorine taste and odor. Apart from that, it removes lead and cyst from the water. 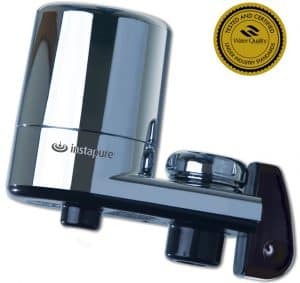 99% Lead and Cyst Removal: For F8 filter, it is claimed by Instapure that the filter is capable of removing 99% of lead and cyst from the water. However, it was not backed by any certification. The Essential F2 model is the most affordable model in the market in terms of the initial cost and the ongoing maintenance cost. Even the F5 model which has a higher quality carbon block filter and lead, cyst reduction filter, it is still affordable for most of us. However, the F8 model will be quite pricey due to its effectiveness of filtering lead and cyst as well as the capacity that it supports. Instapure is one of the few faucet water filters that receive a Gold Seal certification from Water Quality Association (WQA). NSF/ANSI Standard 53: Test on the reduction of lead and microbial cyst. + Gold Seal Certification by WQA. – Not suitable for a highly contaminated water source. VERDICT: It is by far the most affordable faucet water filter available in town. There is no reason that you couldn’t afford a water filter system. I always been asked this question, what’s the best way to select a filter for my home without even seeing the product? Well, it isn’t rocket science to differentiate which is junk and which is great. I always follow my own standard process of selecting any types of filter. Here are some guideline on selecting a great faucet water filtration system. I couldn’t stress more on this element. The quality of the filter is what makes the system great. No matter how technologically advance the system is, if the filtration quality is poor, then it is a bad filter. One thing to note that, only compare to the system that is in the same class. It doesn’t make sense to compare the quality of a faucet water filter with an under sink reverse osmosis system. What are the contaminants that exist in my water source? Can this filter get rid of it? How well the filter gets rid of the contaminants? What is the percentage? 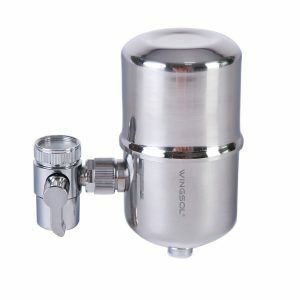 How fine (micron rating) is the cartridge in filtering contaminants? The lifespan of the cartridge always gives us a clue on the quality of it. The longer and larger the filtration capacity, the greater the system is. Great cartridge means good technology has been used for filtration. Longer lifespan filter will decrease the yearly maintenance cost of the system. The affordability not only on the initial investment cost. You have to factor in the subsequent maintenance cost of the system. Some system has cheap initial cost while unaffordable maintenance cost. It is to trick customers into purchasing the system. We break down the cost of the yearly maintenance in the above table for easy comparison. Customer reviews often give you an insight on how well the system is performing. This can save you countless hours of returning the product and repurchase a new one to try it out. City Waters: Municipal treated water in urban areas tends to be less contaminated compared to well water source. Chlorine is the main contaminants. All of the systems are able to remove it. Rented Apartment: Practically no hacking or huge installation needed for this type of system makes it a big fan among tenants. College Students: They often opt for this option or water pitcher options as they are inexpensive system while still can provide some level of protection towards the contaminated water. Small Kitchen: No tubing and the bulky canister will make your kitchen looks tidy. It free up some room for some other appliances. Due to the small size of the system, the functionally and capability are often quite limited. If you have a little more budget, you can opt for the countertop water filter which doesn’t require a lot of installation. It just needs some space near the sink. 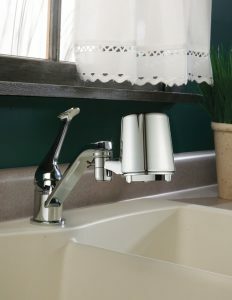 To conclude this, faucet-mounted filters are one of the affordable water treatment systems that are available for all. Check out our full drinking water filter guide for more options. 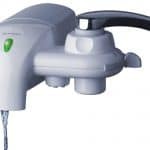 Start getting one of the 5 best faucet water filters that we suggested and protect you and your family.